Marefya Tirfu, age 35, is a mother of two living in Ethiopia. Marefya married her husband as a teenager, and dropped out of school to raise her children. They struggled to cover food expenses with his earnings and they often went hungry. For many families like Marefya’s, surviving on love just isn’t enough. Every ten seconds, a child dies from hunger-related diseases. Many children in their early years lack the vital nutrients required for healthy development – without them, they can be left with permanent physical, social and cognitive deficits. If children are able to attend school, they are often too hungry to learn. Marefya and her family faced all of these possible realities, until she became involved with Canadian Feed The Children’s local partner in Ethiopia, Mission for Community Development Program (MCDP). 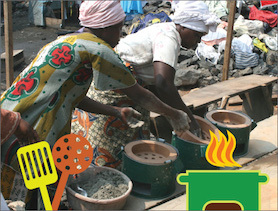 MCDP provides a deliberate link between nutrition and livelihoods programming. CFTC knows that by empowering mothers through income generating opportunities, fewer children and their families will go hungry. 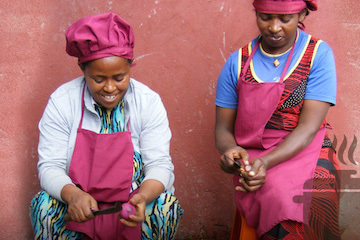 CFTC’s programs help women earn better incomes, participate in economic development initiatives in their own communities, learn and share skills, and inspire other women to follow in their footsteps. 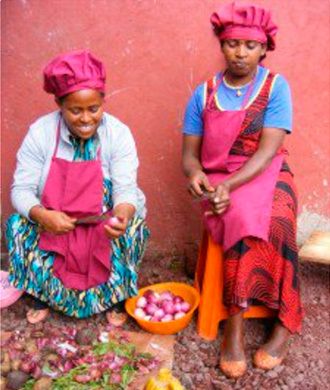 CFTC partners in Ethiopia help improve women’s income generation opportunities through training in business skills, savings, and credit opportunities. In so doing, they are breaking down the stigma often imposed by culture and tradition, and lifting families out of the cycle of poverty. Nutrition education is a critical link between increased income and improved childhood nutrition, which is achieved through CFTC-funded nutrition education sessions, community kitchens, public education campaigns and feeding programs in schools. 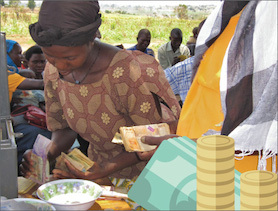 Empowering women with learning and income-generating opportunities is key to stopping hunger in its tracks. 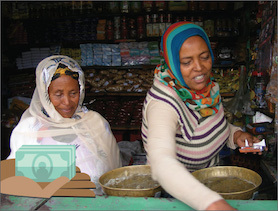 Since receiving support from generous CFTC donors, Marefya is now part of a women’s collective that operates an innovative restaurant. She now contributes to her family’s income and has achieved a more consistent level of nutrition and food security for her family. With your investment in her, she has learned the skills necessary to become a leader in her community and teach other women to do the same. Now Marefya can stop worrying about where her children’s next meal will come from, and she can watch them grow up healthy and full of love instead.